Custom operating systems are available in most blind and shade styles, for maximum safety and convenience. A cordless lift system means no dangling cords, eliminating the risk to children and pets. With a cordless upgrade, blinds are moved into position with a simple push/pull on the handrail. 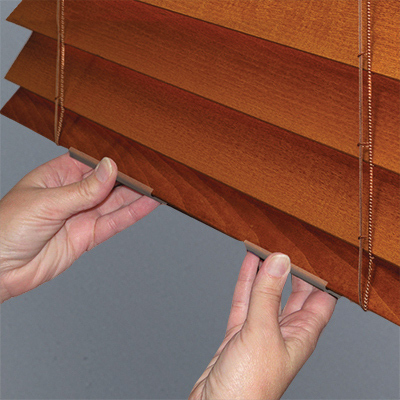 Cordless is also an option with Top Down Bottom Up style blinds, which can be lowered from the top or raised from the bottom, to crop the view just as you’d like it. Whether it’s TV time or naptime, it can be hard to move from your comfy position underneath the blankets, to close the blinds when the sun goes down. Likewise, wouldn’t it be nice to check the weather in the morning without ever leaving the sheets? 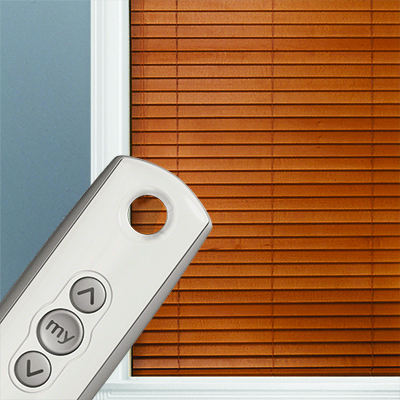 Treat yourself to a remote control operating system which can move your blinds open or closed, while you stay put.